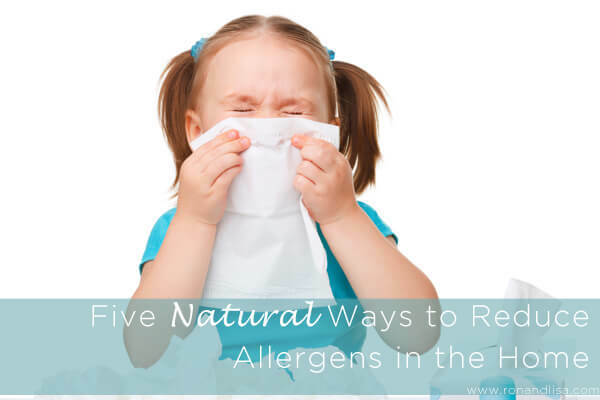 When we think of allergies, we often think of pollen in the spring and ragweed in the fall. However, for many people, “allergy season” is a year-round reality. Allergy prevalence has been increasing over the past 30 years, with indoor and outdoor allergies affecting approximately 40 million Americans. Moreover, it may be difficult to escape allergy triggers by heading indoors when many of them are found in our homes. Stacks of papers, books and magazines around the home aren’t just eyesores — they could also be harboring dust and moisture build up. Keep only what you need, and recycle the rest. The same applies to cluttered shelves, cupboards and closets, which can be breeding grounds for insects, mold and rodents. In addition to the visible dust and dirt you can see in the home, don’t forget about what you can’t see — the air in your home. Upgrade your air filter to the Filtrete Elite Allergen Reduction Filter from 3M to capture 94 percent of large airborne allergens such as mold spores, pollen, and dust mite debris from the air passing through the filter. Be sure to change it every three months. Filtrete filters also help maintain airflow in heating and cooling systems, which may help prevent stress on the system and reduce the amount of energy needed to reach desired indoor air temperatures. One way to keep allergens from entering the home is to keep your windows closed. But that doesn’t mean you can’t bring nature indoors while also helping to improve your indoor air quality. Instead, place low-pollen houseplants, such as Peace Lilies or Swedish Ivy, throughout the home. Plants can also gather dust, so it’s important to clean them regularly. Cleaning around the house should be done to minimize allergens, but some cleaning products can agitate allergy symptoms. Instead, craft your own cleaning products from ingredients in your kitchen cabinets. A mixture of baking soda and natural dish soap makes a great tub, tile and toilet cleaner; while two parts water to one part white distilled vinegar can be used for streak-free windows and glass surfaces. Make vacuuming and sweeping the floors in your home a weekly habit to help reduce dust and allergens, and don’t neglect dark corners and hidden spots, which accumulate more dust. Carpets, in particular, harbor allergens and should be cleaned thoroughly with a HEPA vacuum and non-toxic cleaner. If you experience allergy-related symptoms, consider replacing the carpeting in the home with hard surface flooring.